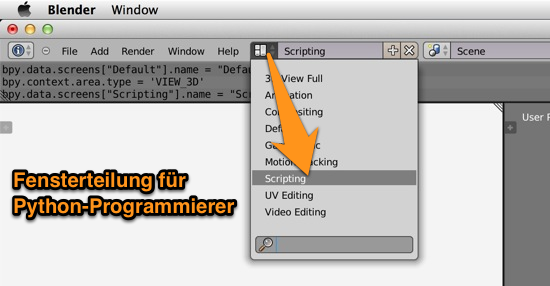 Blender is a window-oriented application. Some concepts are different from what you may expect, but it is not difficult. Just follow next videos and experiment a little bit to become familiar with how blender works. Split the window and close unused windows. Look at the table in the notes with the most important keyboard shortcuts. The views of the 3D-View can changed in all directions. The introduction to this topic is shown by this short video clip. When there are other special functions of Blender required, the explanation takes place at the given place. More tutorials about the usage and the operation of Blender should be present on YouTube. In the video was shown one variant to open and close windows. 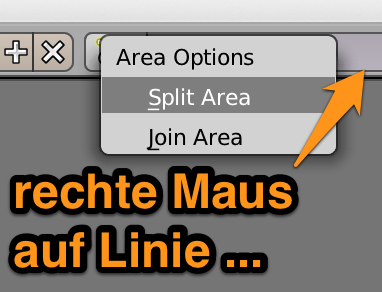 A second variant is a right mouseclick onto the dividing line between two windows.